I am really excited about the last giveaway I have for my 4th Blog-iversary celebration! If you haven't entered the other three giveaways you still can until Sept. 28th! When I was at the LDS Booksellers Convention I met a beautiful woman named Michelle who owns a company called Personal Ponderings that makes and sells scripture, literary, and personal journals. It didn't take long for me to know that we needed to connect. We had a really good talk about scripture journals (among many other things) and then Michelle gave me one of her scripture journals to try out and review. 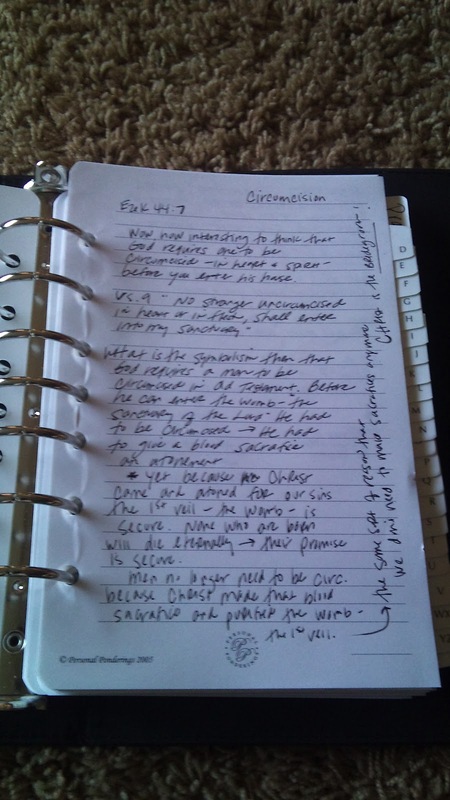 Each Personal Ponderings journal is a seven ringed scripture-sized binder. It comes with insert paper and A-Z tabs to organize scripture study and notes. It has several blank tabs where you can file things like quotes, blessings, personal revelations, talks, etc... In my opinion though the best part of the journal though is that it has a FREE Travel Companion journal. This is a thin journal that just has a pad of insert paper in it. 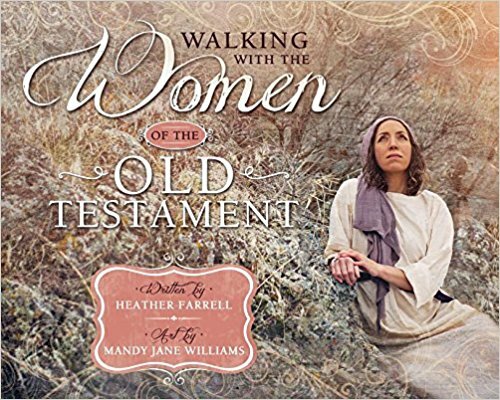 You can stick it in your purse or bag and carry it with you all the time to record thoughts at church, lectures, or whenever (no more writing notes on the back of programs!) Then you go home and take the pages you wrote on out and file them in the big journal. I wasn't quite sure how I'd feel about using a different type of scripture journal because I feel like I already have a really good scripture study routine down. I figured I'd give it a try. Here is an example of what the journal and the travel companion look like open. Honestly, I am not sure that I will use this for my scripture study (because I already love what I have going on) but it has already become the place where I store thoughts and revelations I receive outside of scripture study. Which, until I had this journal, wasn't even something I realized I needed. I have been using it to write down the revelation I get during my personal prayers, thoughts I have at church, in the car, in the middle of the night, or any thing else I don't want to forget. It has been so helpful to have a place to keep them... and even better, a place to organize them so I can find... and use them... again. The only complaint I have had about it so far is that one of my kids threw the travel journal and the cardboard on the back of the insert pad came off, which makes it harder to get it to stay in.... but it still works and when I buy a new insert ($5) hopefully it won't get thrown. 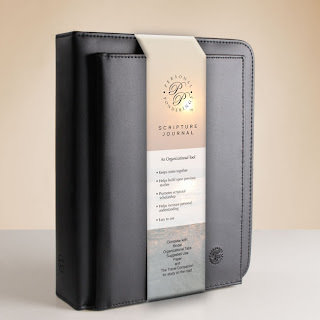 These journals are wonderful and if you are looking for a good scripture journal, this would be perfect. Please leave me a comment letting me know which ones you did. The Giveaway will be open until Sept. 28th at 12:00 PM! Best wishes. My number one scripture study tip is ridiculously simple: be consistent. I also pinned your recent post about your new birthday globe tradition. And I liked Personal Ponderings on facebook. i liked them on facebook and my best scripture tip is listen to the spirit! Looks like a neat idea. My oNe tip would be to just do it. Open them up and read. Just jump right in. Thank you for the Giveaway. I liked Personal Ponderings on Facebook. Being consistent in scripture study is very helpful. It also helps to be well rested. For me early mornings work better to study when I am more open to the Spirit and the house is peaceful. I mentioned it on FB and liked them as well. I love these books, and am excited about their SIZE as well. I have study books that are much bigger, which means I have to store them in a different place from my actual scriptures, making everything a little bit more complicated. I love the travel size, too! What a cool concept. My study tip is to not worry about getting through a certain number of pages/verses/concepts. Just this morning, I was reading and my daughter wanted to read with me. We only got through half a chapter, but we had a nice talk about the gospel, so it was definitely worthwhile. I liked Personal Ponderings on Facebook. I find that I get more out of scripture study when I start it before 6am. Even if I'm tired, something about the wee early hours of the morning makes it different. I also have a totally different experience when I write in a journal, but I don't have a system that I really like at the moment, so there's room for improvement on that! I did three of the tasks. I posted on my facebook and twitter, and then I liked their facebook page. Those journals look really neat. My tip is to get up early before the rest of the family so you can have some quiet time to study. I tweeted about Personal Ponderings. Scripture tip? 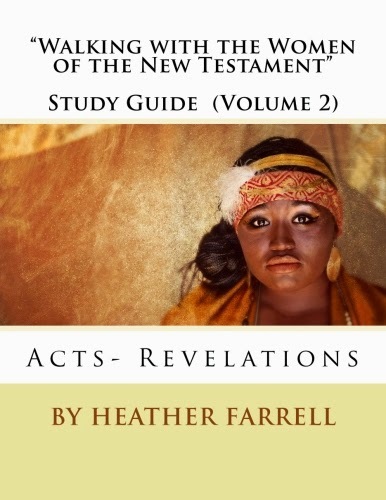 To pray for what you need to learn from each scripture study session. It really helps me find personal applications. 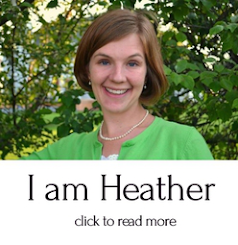 I pinned one of my favorite articles you have written - "Acclimated and Desensitized." The main thing I've done to add to my own personal study, is to write in a gratitude journal before or after scripture study. I just keep a small memo pad in my scripture case, and try and write in it daily! I like to study by topic. Pick a topic, write down questions you have about it or stuff you want to learn about it, and then study it for as long as you feel like you need to. It makes me look at stories in different ways, and helps me find connections between different stories. 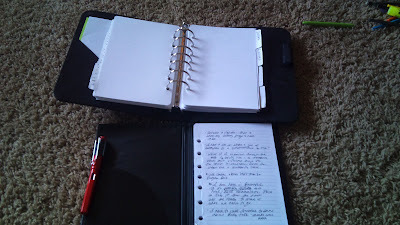 My tip is to always study the scriptures with a journal and pen in hand to record personal revelation while you study. My tip is that I dont mark my scriptures. I fel tso much pressure to do that- and then hen I ould go back and read, I would be distracted by hat I had marked- so I stopped. It works for me, I get what I CURRENTLY need. I also REALLY NEED this journaling product. I have nothing. No system. You need to do a post of your system. I did all the requirements for the giveaway! Yay! Oh, and I liked it on Facebook too. Liked it! Scripture study isn't exactly my strong point, but lately I've been trying to read every night for a couple of chapters. That's harder than you'd imagine, since I just hit Jeremiah. But I'm still loving doing regular scripture study. 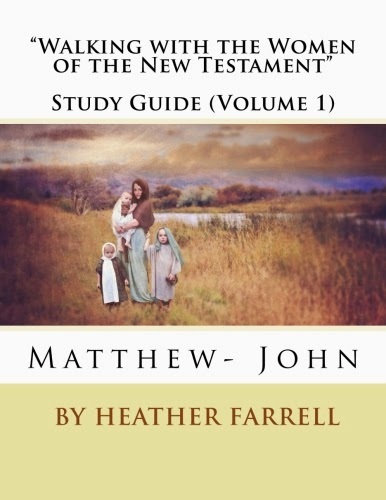 My favorite scripture study tip is to study with the help of an institute or seminary manual. It gives so much helpful background and they have good thinking questions. My favorite scripture study tip is to pick a topic to focus on for awhile. 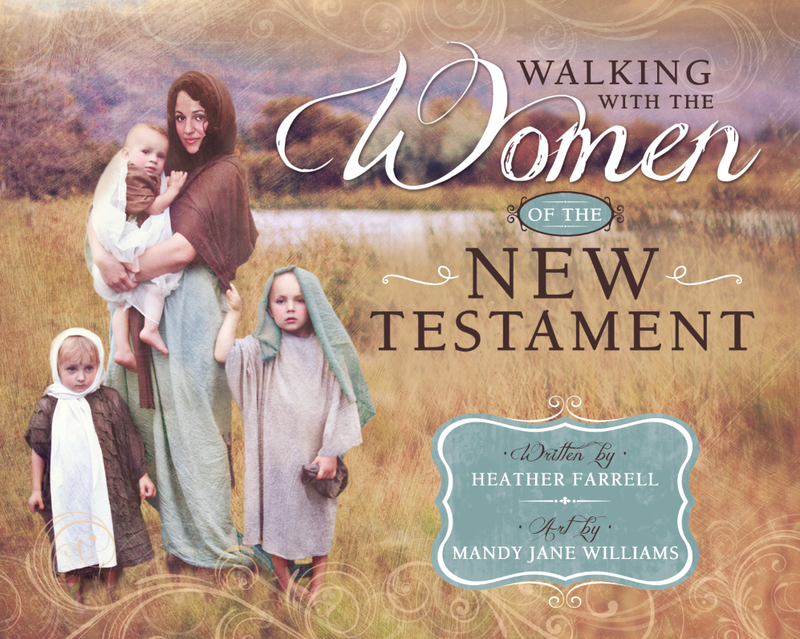 Right now I am reading the Doctrine and Covenants with a missionary work focus (since my calling is Ward Missionary), and in the past I have read The Book of Mormon with an emphasis on motherhood. Use the LDS Scripture App on my phone....I always have my scriptures with me to read when I can. 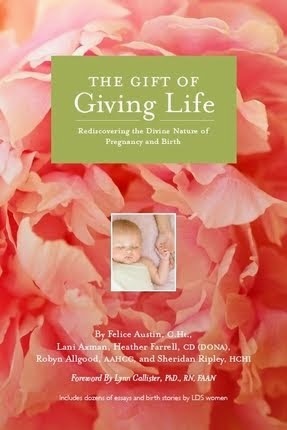 Really easy to read while nursing too! I used to be such a diligent scripture studier. Then I had a baby (10 months ago--Yikes!) and now I only read sporatically. Wow, I need to get my act together. Anyway, my best scripture studying tip is to always ask yourself "How does this passage/verse/story apply to my life?" I love, love using my institute manual along with my Book of Mormon. However, for the other standard works, I have really only just read them. I started using a journal a couple of years ago and that has completely changed my entire scripture experience. I have loved writing down the insights and personal revelation that come as I read the scriptures. 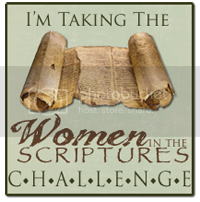 I just found your blog and I am excited to begin my own Women in the Scriptures challenge. My study tip: I try to read during lunch or breakfast. Then I'm thinking about what I've read all day rather than for 2 minutes before I fall asleep. I change up what I'm doing. Sometimes I just read straight through like a novel, sometimes I study based on topics. I catch different things every time. I really need some type of scripture journal- I need to get a system to record more of my thoughts & personal rev. Thanks for your beautiful blog. That is a great tip, to read early so you can ponder a day! You just changed my life-thanks so much!